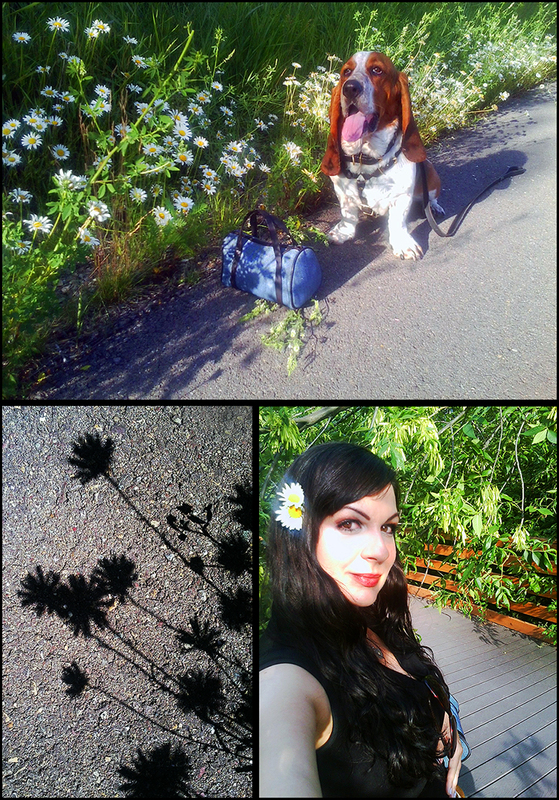 The daisy season is almost over in the greater Pacific Northwest, so the basset and I were having a field day--pardon the pun!--tonight on our walk. 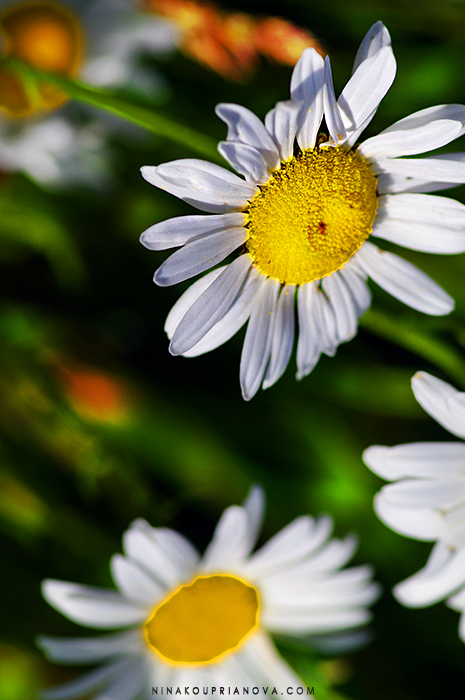 When Daisies Attack! That's not the basset's purse, by the way. They really look like countless little white lights guiding the way, especially during the golden hour.